Steven is a proud husband and father of two boys and two girls. He grew up in Montana which fed his love for the outdoors and exploring God’s creation. He is also passionate about running and has led several student marathon teams to attempt the impossible and succeed. His passion for the outdoors, led Steve to obtain his Bachelors degree in Wildlife Biology. After obtaining his degree, Steven dedicated his life to another passion of his…service. He has served as an: E.M.T., U.S. Army Infantry, Airborne, and as a youth pastor. 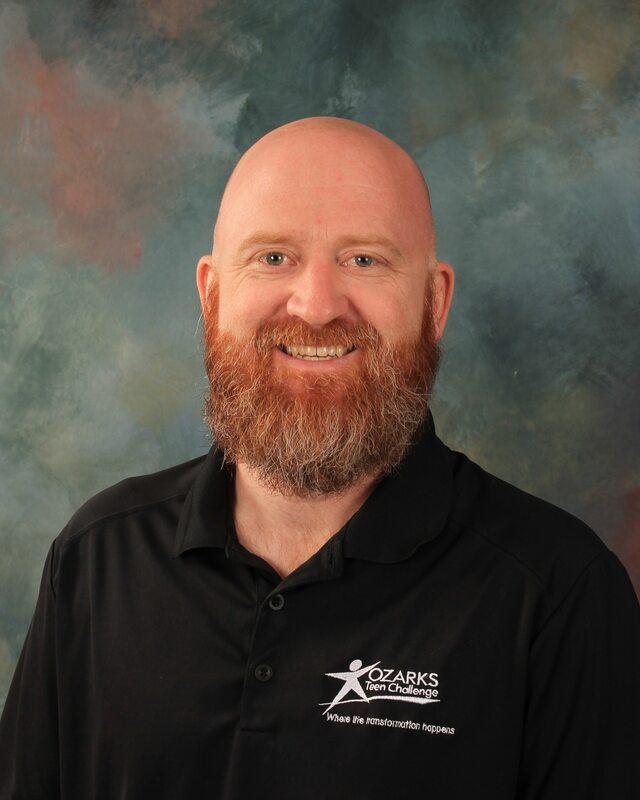 Steven has been at Ozark’s Teen Challenge since 2007 and has worn many hats during his time with us: volunteer, support staff, admissions coordinator, academic administrator, and his current role, Program Director. No matter what position he is in, Steven’s motivation is to help young men find freedom in who they are in Christ. We are honored to have Steven Borchert on our leadership team here at Ozarks TC.